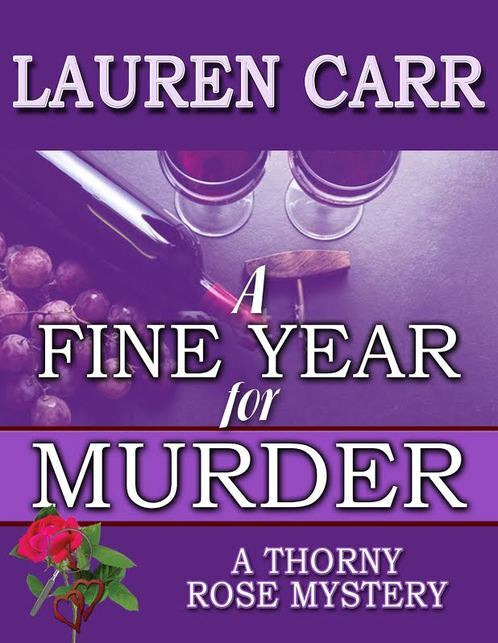 Lieutenant Murphy Thornton USN of Lauren Carr’s Thorny Rose Mystery series is the son of Joshua Thornton of the Lovers in Crime Mystery series. Fans of Lauren Carr’s mysteries may have first been introduced to Murphy in her first two books A Small Case of Murder and A Reunion to Die For. In those two books, Murphy was only seventeen years old. He has since grown up. The female half of the Thorny Rose couple is Jessica Faraday, the only daughter of Mac Faraday of Lauren Carr’s Mac Faraday Mystery series. Lauren Carr fans may remember briefly meeting Jessica in Old Loves Die Hard in which her and Tristan’s mother was murdered. Murphy met Jessica when he foiled a kidnapping attempt in Three Days to Forever. Murphy has an identical twin, Joshua Thornton Jr (J.J.), who is seven minutes older. 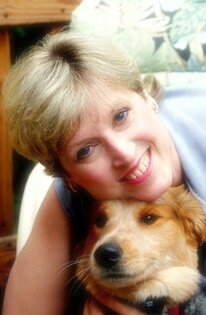 J.J. was featured in Killer in the Band (Lovers in Crime Mystery). Murphy and J.J. are mirror twins, meaning they are truly mirror images of each other. For this reason, J.J.’s heart, liver, and spleen are on the opposite side of his body from Murphy’s. Health conscious Murphy is a pescetarian, a vegetarian who eats fish. He also avoids alcohol, caffeine, processed sugar, and dairy products. Jessica drinks coffee loaded with gourmet creamer, sugar, and eats chocolate pop-tarts for breakfast. Jessica named her pure bred blue merle Shetland sheepdog Spencer after her grandmother, the late mystery writer Robin Spencer. Murphy calls the sheltie Candi after his first girlfriend who kissed and loved everybody—especially the basketball team. Newman, Murphy’s Basset Hound is a forty-five-pound couch potato who came with Murphy’s first apartment in Washington DC. Newman came with the worn recliner, left by a fellow navy officer sent overseas, that the mixed breed calls his home. A television addict, Newman taught himself how to work the television remote. Jessica’s younger brother, Tristan, is dating Murphy’s younger sister Sarah, a midshipman at the US Naval Academy in Annapolis, Maryland. An undergraduate at George Washington University, Tristan works as an intern at the Smithsonian Museum. They met at Jessica and Murphy’s wedding in Three Days to Forever. Jessica and Murphy have a virtual butler named Nigel, the central computer that manages their smart house. A prototype, Nigel was designed by a team of computer experts, which included Tristan. In addition to controlling the house’s lighting, temperature, and pantry management, Nigel also manages the estate’s security, as illustrated in Candidate for Murder when the virtual butler and Gnarly the German shepherd take on a team of black ops assassins. Thank you so much for inviting me to your site for this fun post about the Thorny Rose Detectives. Here’s wishing each of your followers luck in the giveaway to win $100 Amazon Gift Card! Thank you for the chance to review this book. I hope one of my followers gets lucky with the drawing too.